Create analytics platform for performance monitoring, management and statutory reporting, ad hoc analysis and reporting, and rates modelling. WhereScape Red data warehouse automation, consulting expertise, training, implementation and support from Now Consulting. Self-service access to reporting capabilities for data-driven decision-making. 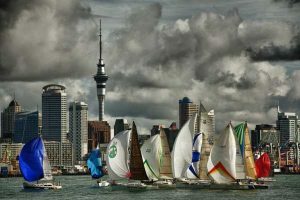 Along with the rollout of its SAP enterprise resource planning solution, known as ‘Newcore’, Auckland Council is seeking to improve its ability to serve the citizens of New Zealand’s biggest city through the targeted use of analytics. For this, it has worked with WhereScape and NOW Consulting for several years to create a substantial analytics system which provides the foundation to help improve the Council’s operations. The Auckland Council is the local government organisation for the Auckland region. The governing body consists of a mayor and 20 councillors, elected from 13 wards. There are also 149 members of 21 local boards who make decisions on matters local to their communities. It is the largest council in Australasia, with a $3 billion annual budget, $29 billion of ratepayer equity, and 9,870 full time staff as of 30 June 2016. The council began operating on 1 November 2010, combining the functions of the previous regional council and the region’s seven city and district councils into one ‘super city’. Data analytics, he points out, is a crucial component in equipping the Council to perform multiple functions effectively. With limited budgets and ratepayers expecting value for their contributions to the Super City, analytics provides the ability for the Council to operate efficiently. With much at stake, the selection of an appropriate partner to create an analytics platform which can be accessed and used by multiple people and job roles within Council was essential, Wearing confirms. “Within Council, we have managers, analysts, data scientists and even the public who access and use our analytics services,” he says, noting that the platform therefore must be flexible and capable of meeting the requirements of diverse user groups. The selection of NOW Consulting to create and maintain Auckland Council’s analytics platform has its historical roots in the Council’s use of WhereScape’s RED data warehouse automation software for the creation of an enterprise data warehouse. The success of that project led to a master service agreement, with WhereScape’s professional services division – NOW Consulting – providing the necessary expertise to maximise value from Council’s analytics investments. Wearing explains that NOW Consulting was selected based on its demonstrated expertise in data, as the raw material for analytics, as well as how information can be used to create business advantages. “Over the course of a multi-year engagement, NOW Consulting has delivered numerous projects which, together, have resulted in the analytics platform and services which are widely used throughout Council,” he says. In addition to the ‘mechanics’ of data analytics, including requirements gathering, data models and ‘ETL’ (extract, transform and load) activity, the engagement has also seen Auckland Council look to NOW Consulting for thought leadership and mentoring in its quest for best practice analytics. Other services which have been provided include advisory services, architectural design for analytics systems, a best practice delivery framework, and project management of an end to end delivery. Wearing adds that NOW Consulting participates on the Council’s Business Intelligence and Analytics Panels, while the professional services firm provides access to additional experienced personnel to augment internal Enterprise Data Warehouse and BusinessObjects resources (the SAP business intelligence software used by Council). Probably the biggest challenges faced by Council over the course of the engagement, Wearing notes, was the difficulty in gathering business requirements, and building capability around BusinessObjects. Thanks to its engagement with NOW Consulting, Auckland Council has an improved structure for its analytics platform, which Wearing says is the result of the implementation of the best practice delivery framework for planning, creating, testing, and deploying the information system. “Furthermore, our internal developers have been up-skilled through working with and receiving mentoring from NOW Consulting’s people, who have also provided the additional capacity we have needed to get this large and complex system operational,” says Wearing, also singling out NOW Consulting for its consistent application of best practice throughout the engagement. But it is what the data analytics platform does for Council which is most important. It sits behind a wide range of essential functions including performance reporting and dashboards, ad hoc business data interrogation and reporting, through self-service, with further options for ‘power users’ to flexibly access the system and develop their own reports. Wearing says the benefits of this system flow directly down to ratepayers. “This system stands behind democracy services and elected members. It is instrumental in creating Local Board reports, it supports the creation of the Unitary Plan by processing information from Geographical Information Systems and Rating Information Databases. The analytics platform has a role in creating valuations, and it supports the various consenting activities carried out daily by Council; finally, it is also used for the creation of asset and financial management reports.